South Texas College’s Valley Scholars Program and ERO Architects will come together for a check presentation, April 22, 2019. The purpose of the check presentation will be to recognize ERO Architects as an official sponsor of “A Night with the Stars,” the annual fundraising gala hosted by STC’s Valley Scholars Program. The gala is intended to raise scholarship funds, celebrate the accomplishments of Valley Scholars students, and honor supporters of higher education. ERO Architects will be donating $5,000 and be recognized as an official Diamond Sponsor, kicking off the Valley Scholars Program fundraising season. ERO is an architectural firm located in McAllen TX, their works include the McAllen Performing Arts Center and STC’s new Nursing and Allied Health Building B.
Dr. Anahid Petrosian, Vice President of Academic Affairs at STC says this donation is greatly appreciated by the program. The check presentation will take place Monday, April 22, 2019, at 10 a.m. at STC’s Nursing and Allied Health Campus Building B located at 1901 S. McColl Rd. McAllen, TX 78503. Those interested in sponsorship opportunities with STC’s Valley Scholars Program can contact Jessica S. Garcia at 956-872-2246. STC’s Valley Scholars Program was established in 1997 to recognize and promote academic excellence by providing financial assistance, academic support services, mentoring, and leadership development to academically gifted and highly motivated students from Hidalgo and Starr counties. Support from local businesses and corporate sponsors enables the Valley Scholars Program to provide up to $2,000 in scholarship funds for Valley Scholars students pursuing an associate degree at South Texas College. 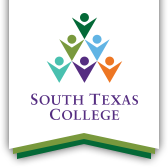 For students interested in becoming apart of STC’s Valley Scholars Program visit: https://academicaffairs.southtexascollege.edu/academicexcellence/valleyscholars/.